The wrong kind of deed can have expensive and unintended consequences. Once the horse is out of the barn you can get back! Real estate property ownership is legally changed by a document commonly known as a deed which is signed by the person making the ownership transfer. 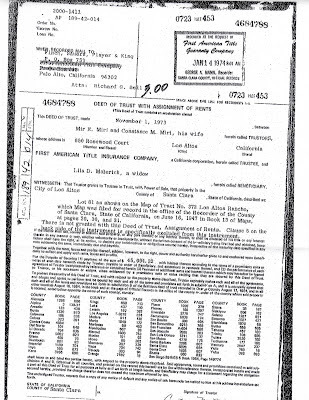 The deed is then recorded with the County recorder in the county where the property is located. Deeding Property Dangers – Under California law, the recording of a deed is considered a change of ownership by the County tax assessor which allows the property to be reassessed to current market value. Thus, supposing you have a property that you paid $200,000 for which is now worth $1 million and you record a deed transferring that property to another person. The first impression at the County level will be to say that the property taxes are going to be assessed based upon the $1 million valuation. There are exceptions to the change of ownership rules which exempt certain types of transfers to certain types of persons. One such exemption is the parent-child exclusion which allows these same property tax bases to carry over in the situation where a personal residence occupied by the transferring party is transferred to a child or grandchild. However, certain papers have to be filed with the county assessor within the time deadlines to take advantage of the exclusion. 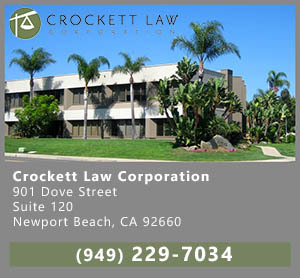 There are other exclusions which Crockett law firm can advise on and plan to try to keep the property tax increase from happening. Another big pitfall in giving away a property is the income tax basis situation. Generally speaking, the income tax basis of a property is what you paid for it. 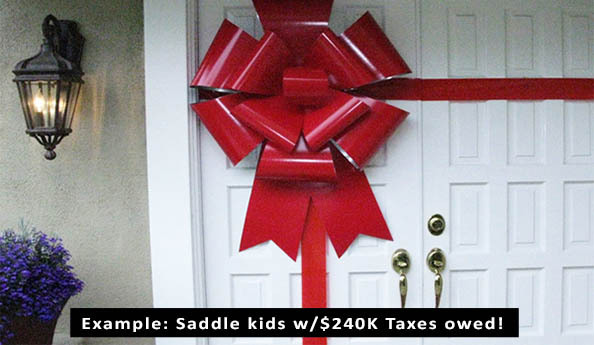 If you give the property away, then the recipient takes over your same income tax basis. This can create huge capital gains problems which can be avoided by proper planning. For example, in the example where you have a property which you paid $200,000 for, and then you give it to your children, they take over that $200,000 basis. If they then sell the property for $1 million they have a capital gain of $800,000 which would equate to approximately $240,000 federal and state income tax. What must be considered is the estate and income tax law that allows the income tax basis to increase two fair market value at date of death. Thus, if you don’t give the property to your children while you’re alive but provide in your estate plan for them to inherit the property, they would inherit it at the $1 million date of death basis. They could then go sell the property following your demise and have no capital gains tax. The moral of this story is to not transfer anything without consulting an estate attorney to figure out the best way to proceed. People sometimes figure they can get away with not bothering with any estate planning by simply putting property in joint ownership with their children are others. This would be through a joint tenancy deed. In some situations this will work to avoid probate and avoid having to do any estate planning work. However, this may backfire because a joint tenancy deed is not affected by a will, not affected by a probate and not affected by a living trust. Also, depending upon the situation, the property tax and income tax basis situations can be uncertain. Legally, when you put a property in joint tenancy, you are making a gift of one half of the value of the property to the person whose name you put on the property. That is a gift which you cannot take back. We have run into situations where people have inherited property and then put it in joint tenancy with their spouses who never actually paid anything for the property. This just became a windfall for the spouse. Everything is fine until there is a divorce situation. Then, the spouse to receive a windfall is legally entitled to half of that property and is not likely to give it up. This type of situation also causes problems if the person who received the inherited property was to leave the inherited property to his or her children from a former marriage. That can be done at least as to the half of the property that was given to the spouse unless the spouse consents. One can legally have a deed that gives another person a life estate in the property involved. Typically this happens where a person comes into a marriage owning 100% of a house and then wants to make sure that their spouse can continue to live in the house after they are gone. In this situation, the surviving spouse is known as the life tenant and the heirs of the person who gave the life tenancy interest cannot change it. Litigation can arise over joint tenancy situations where they are not carefully planned and worded. For example, who is going to pay the property taxes on the house, who is going to pay the repairs, what if the life tenant allows the property to fall in disrepair, who is going to pay the insurance, what if the life tenant decide they don’t want to live there anymore and move out and put the property on the rental market? Are any of these activities grounds to force the life tenant out and get the property sold and proceeds distributed? The answer is maybe or maybe not, depending upon a lot of factors and depending upon how the life estate deed is worded. Once a life estate deed is given, the horse is out of the barn so to speak and cannot be taken back. What the couple decides to get divorced after the life estate deed is given but while they are both alive? A far better solution is to put the property into a living trust and not into a life estate deed. The living trust can then deal with all the problems as to who is to live in the house and who is to pay for things. The living trust will keep the separate identity of the property which was inherited so that it does not automatically become shared with the other party or spouse. 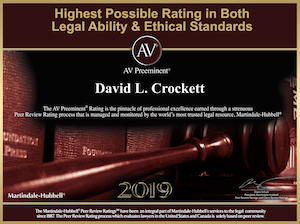 Before any deeds are signed or property given away it makes sense to consult with an estate attorney to see how the property can and should be dealt with in a proper estate plan were living trust. They are typically various alternatives to accomplishing one’s objectives but once you record a deed, the horse is out of the barn and you may never get it back.